Taking wide-angle shots of your Canon 5Ds or 5Ds R is an experience that can bring pleasure to any photographer. These high-end DSLRs work well in different shooting conditions, especially if you’re practicing landscape photography. Many landscape photographers know that to fit most of the scenery into your photo, you need wide-angle zoom lenses. While wide-angle lenses promote a larger aperture as compared to wide-angle zoom lenses, the latter choice makes it excellent for a broader range of photography requirements. So picture this (no pun intended) – you’re shooting images of a field of flowers, and then a friend asks you to take a picture of them. If you have a prime wide-angle lens, then you need to take it off your Canon 5Ds or 5Ds R to replace it with a more appropriate lens. However, if you have wide-angle zoom lenses at your disposal, you can just adjust the focal length and be done with the shot. Therefore, wide-angle zoom lenses deliver a broader sense of versatility as opposed to using standard wide-angle prime lenses. 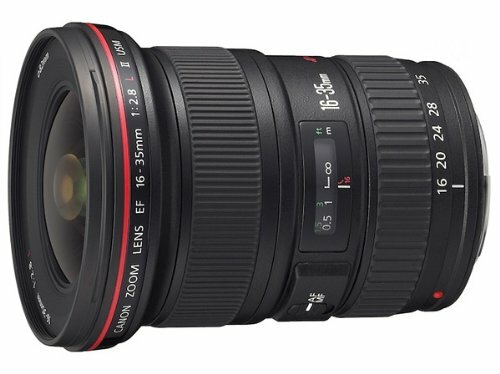 If you’re looking for such a versatile lens to add to your growing arsenal of optics in your camera bag, then here are the best wide-angle zoom lenses for the Canon 5Ds and 5Ds R.
The Canon EF 16-35mm f/2.8L III USM is a high-powered, high-performing lens with a f/2.8 aperture. It brings itself to be part of the best wide-angle zoom lenses available for the Canon 5Ds and 5Ds R due to some reasons. It offers superb control regarding the depth of field adjustments as it has an innate ability to maintain the same aperture across the entire zoom range. It is an ideal lens to have if you’re shooting outdoors and there’s not much light in the immediate environment. It also maintains outstanding levels of sharpness throughout the entire frame. Other features include an Air Sphere Coating (ASC) and a Subwavelength Coating (SWC) to help reduce ghosting and flaring. If you need a versatile wide-angle lens, then perhaps you ought to consider getting the Canon EF 11-24mm f/4L USM. 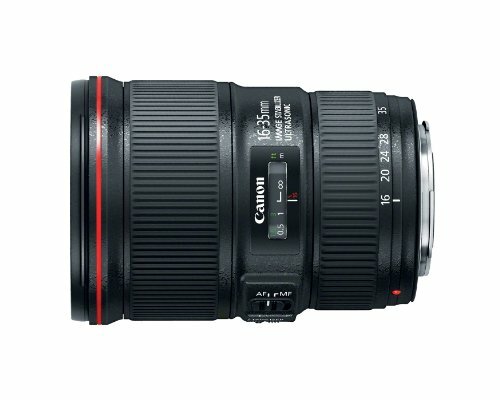 Its construction and optics are hailed as one of the widest in the brand’s list of wide-angle zoom lenses on the market. It is an ideal lens to have if you’re shooting landscape, interiors, or when you want to shoot a unique perspective of your subjects. 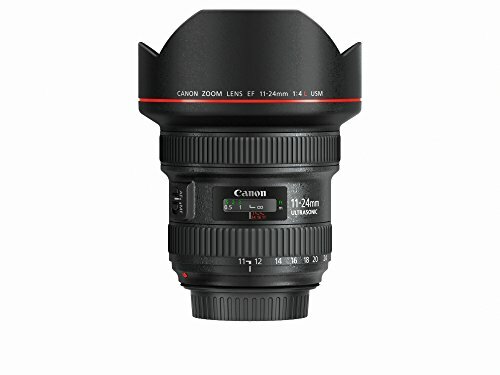 Canon EF 11-24mm is constructed with the standard L-lens specifications, which means that you’re going to get a highly durable piece of glass attached to your Canon 5Ds or 5Ds R. It also has fluorine coatings found on its front and rear elements to reduce the instances of fingerprints or smears. Getting pin-sharp images of your subjects can be a difficult task to deal with, even if you’re already a master photographer. 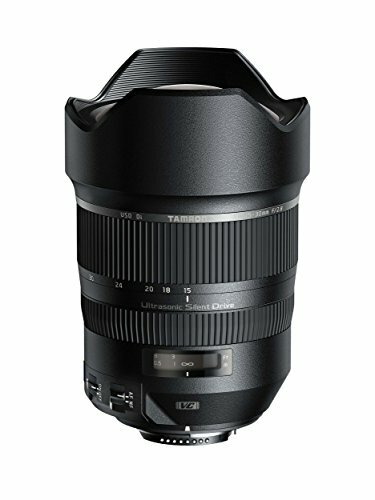 The Tamron SP 15-30mm f/2.8 Di VC USD is part of the list of the best wide-angle zoom lenses as it brings vibration compensation to its excellent list of features. With it, you can get sharper images across the entire photo, even if you might have a bit of a shaky hand problem. It also makes use of an Ultra Sonic Motor that acts quickly on demand. Videographers can also take advantage of this as the motor is reasonably silent when zooming in and out. A definite advantage to using this lens is its short minimum focusing distance of 11 inches. With the Canon EF 16-35mm f/2.8L II USM, you can broaden your horizons for your landscape photography. It is designed to improve sharp edge-to-edge performance for your images. Hence, it can keep up with the requirements of even the most demanding photographer. It also allows photographers to bring more of the area into focus while letting every part of the image to be as sharp as possible. This lens is also constructed with a water-resistant coating so that it can survive splashes of water from the rain or the beach. It also has a reasonably high maximum aperture combined with its circular aperture blades to deliver creamy backgrounds when needed. What happens when you select a model from the many wide-angle zoom lenses on the market that delivers a mixture of low-light performance, wide-angle and zoom versatility, and a compact construction? 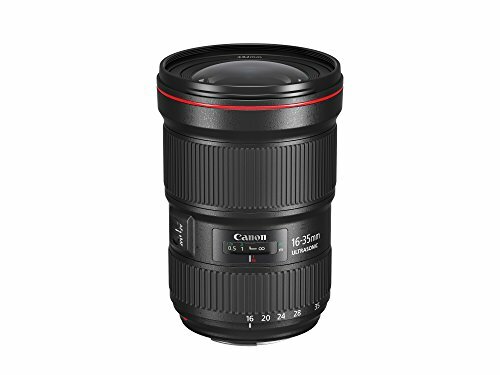 Then you get the Canon EF 16-35mm f/4L IS USM. With this lens, you can immediately switch between shooting portraits to taking photos of landscapes in one swift motion. Furthermore, the images produced while using this lens on your Canon 5Ds or 5Ds R bring plenty of contrast with optimum levels of color balance. It also has a full-time manual focus, and it also presents a very short focusing distance of 0.92 feet. 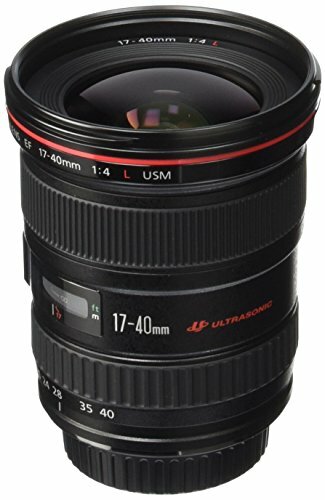 What makes the Canon EF 17-40mm f/4L USM appealing for many is not just its excellent performance among many wide-angle zoom lenses on the market, but its price point is reasonable enough as compared to higher-end units. Aside from its cost, it offers superior optics, and it can focus as close as 11 inches. This particular lens is also an excellent choice for both still photographers and videographers alike as it makes use of an Ultra Sonic Motor when auto-focusing. This feature lets the lens focus quickly and as silently as possible. Furthermore, it has a constant f/4 aperture across its zoom range. Many wide-angle zoom lenses are scattered across the market, so it might be difficult for you to choose which one to get for your Canon 5Ds or 5Ds R. Hopefully, this guide assisted you in reaching a sound conclusion as to which lens to get to help enhance your portrait or landscape photography even further.